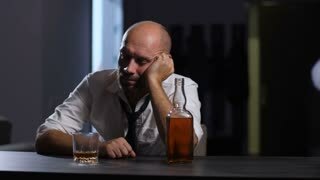 Search Results for "alcohol abuse"
Depressed man in alcohol abuse experiencing midlife crisis and business failure lying on the table at home. 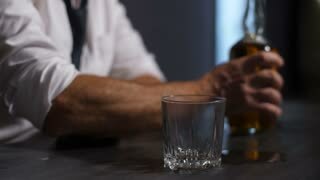 Wasted drunk businessman sleeping at desk with bottle and glass of whiskey in front of him. Flying through Liquid Splash. Alcohol, Tea, Cola. 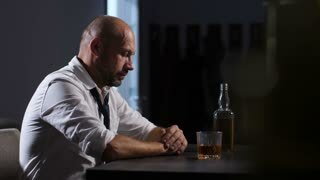 Alcoholic without T-shirt drinks alcohol from a bottle in the closet. sad at home couch in alcohol abuse and alcoholism concept.